Normally Spring is the time everything becomes new, but we thought the first week of Fall was a good time for a reboot this year. Our new site is now live just in time for the launch of a new Charity Single from our own Jimmy Nash. 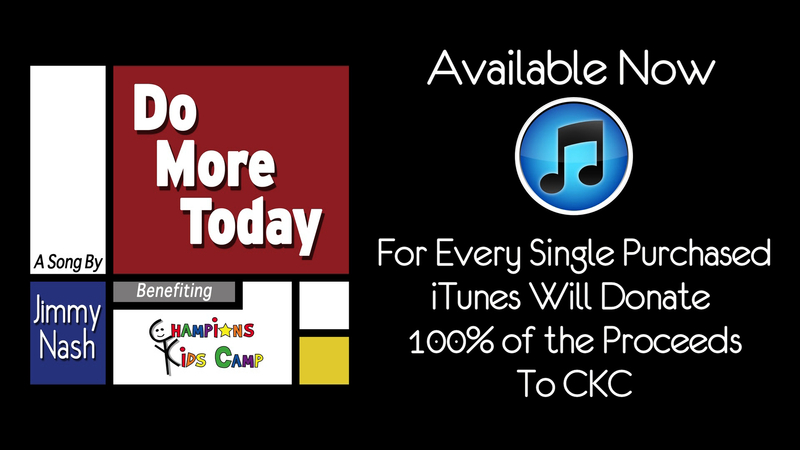 For every single sold, iTunes will donate all the proceeds from “Do More Today” to Champions Kids Camp. No one person has to give a lot, but a lot of people can give a little to this great cause. Please take a minute to watch the video, and download the single…that is unless you don’t like children…you do like children don’t you? New Music…Well Old Music…wait, what?